Call 615.834.4300 for a consultation. Since 1981, the Martha C. Child Law Office has represented clients in family law, probate, and other related matters. A native of Illinois, Martha Child graduated from Illinois State University. She moved to Nashville to pursue graduate studies. After having obtained her Masters of Arts degree from Vanderbilt University, she was employed by the Metropolitan Nashville Public School System for eleven years. Martha Child received her Doctor of Jurisprudence degree from the Nashville School of Law and was one of the top ten students in her class. 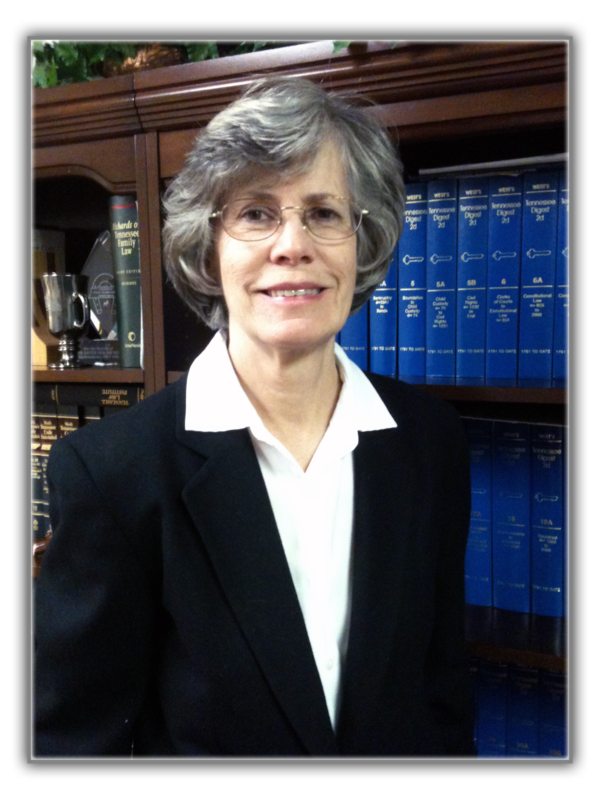 She is admitted to practice in the state and federal courts in 1980. She currently serves on the boards of three non-profit corporations. Every client meets personally with Martha Child, not with a paralegal. Martha Child personally prepares all documents. The law office of Martha Child recognizes that oftentimes ill, disabled, or senior citizens are unable to leave their home or hospital bed. Martha Child will make home and hospital visits to accommodate those persons who need her services. In all contested matters, Martha Child will give you a realistic assessment of your case. She will not encourage you to spend your hard-earned money unwisely. Litigation often results in high emotional stress. Martha Child works hard to reduce your stress. She tries to simplify your legal issues and maximum your outcome. Because she has practiced for many years, she is able to advise you on the probable outcome of your case. Her fees are reasonable and she will work out a payment plan if you need one.